BDM are busy working with Worcestershire clients as part of the latest Worcestershire Skills Support for Workforce initiative and one of our most popular courses is Team Leading. This type of course is ideal for a thriving and growing business like Housing Partners, based in Worcester. As part of this growth, they have recently recruited more staff. Consequently, we arranged a visit and already their core complement of team leaders have completed our Team Leader module which encompasses the skills of leading a team, developing a work team and effective team member skills . initiative to any business who need to develop their management capability. 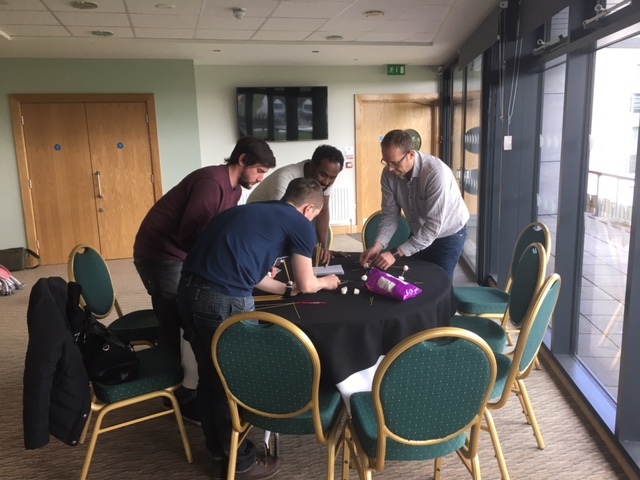 Photo showing Housing Partners Team Leaders taking part in a team building exercise where the training was delivered at Worcestershire County Cricket Club.